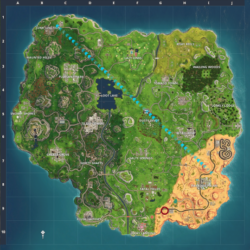 Here you will find all challenges for Fortnite Season 5. Listed per week, just click on the challenge to see the details on how and where to get it. If you can’t click the challenge te goal is obvious. 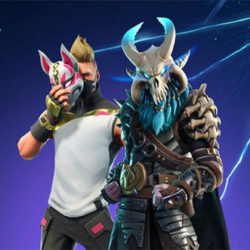 Some challenges are free to play for all players and some challenges are only for Battle Pass holders. If you complete a challenge you earn Battle Stars, those battle stars contribute towards leveling your Battle Pass and unlocking new items to customize your character. 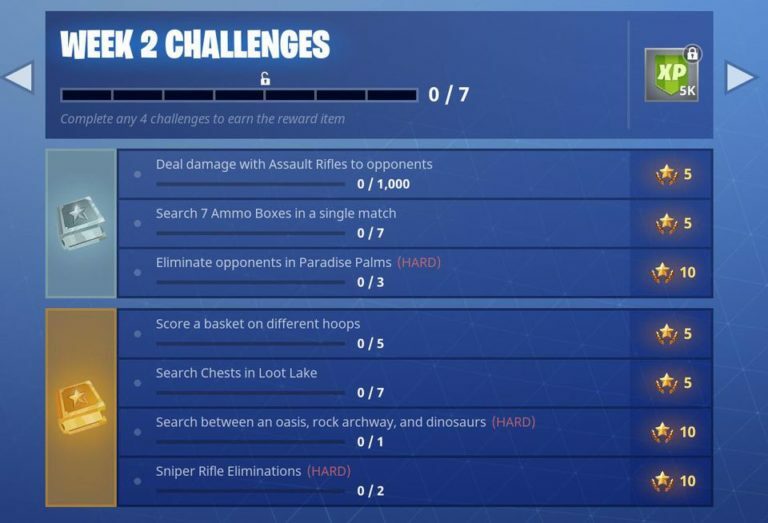 We will update this post every week with the new challenges. The newest weeks are shown first, followed by the older weeks. 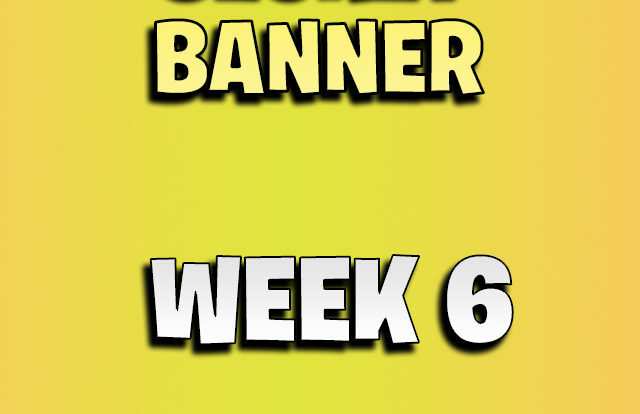 If you completed all week 10 challenges you can collect the week 10 secret banner. If you completed all week 9 challenges, you can collect the week 9 secret battle star. 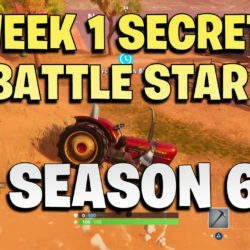 When you complete all week 8 challenges you can get the secret battle star for week 8. 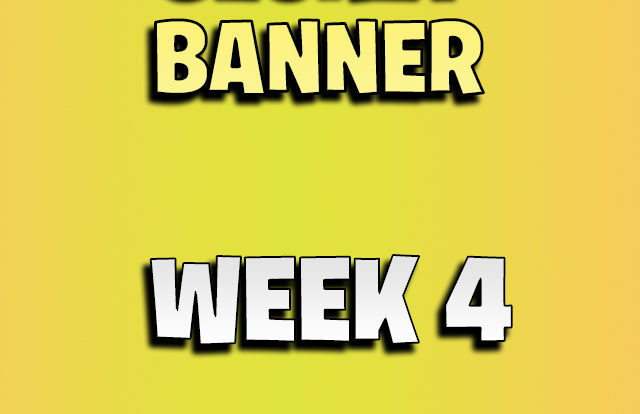 The Fortnite season 5 week 7 challenges are launched. We have listed them below with helpful guides to get the difficult challenges. 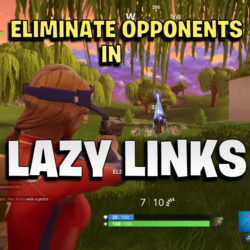 The Search supply drops and SMG eliminations should not be too hard. You can always try one of the special modes if you can’t get this to work. The supply drops are too easy. 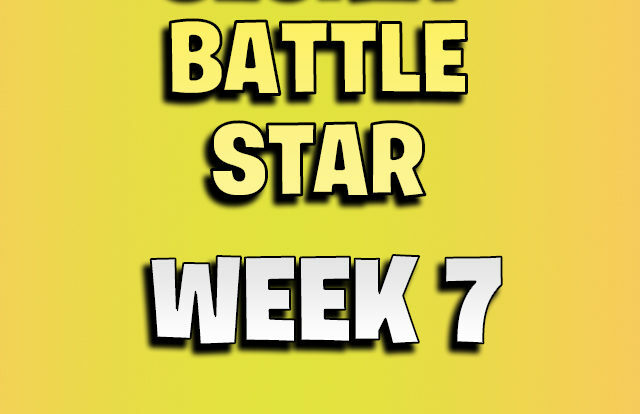 If you completed all week 7 challenges you can get the secret battle star of week 7. Which gives you another 10 stars towards your Tier. When you have all week 6 challenges complete, you can get 1 more star. 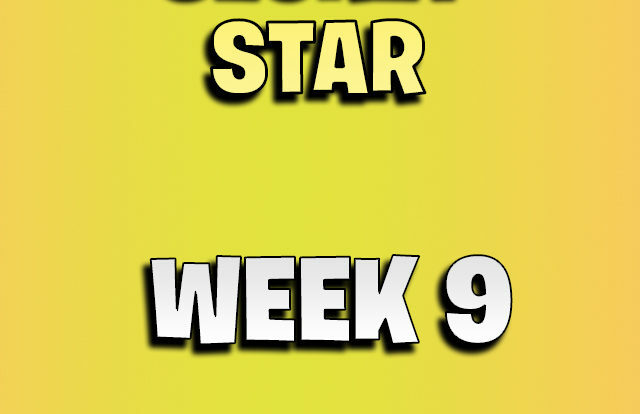 The week 6 hidden road trip star. 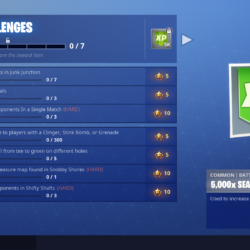 When you complete all the week 5 challenges you can get the week 5 hidden star. When you complete all week 4 challenges you can get the week 4 hidden star. 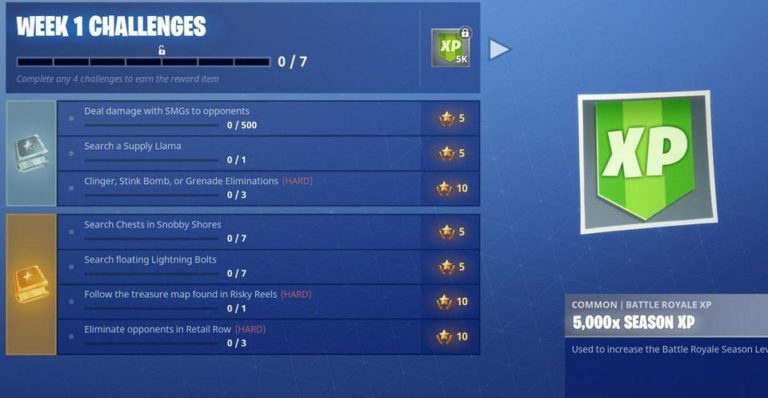 When you complete all week 3 challenges you can get the week 3 hidden star. 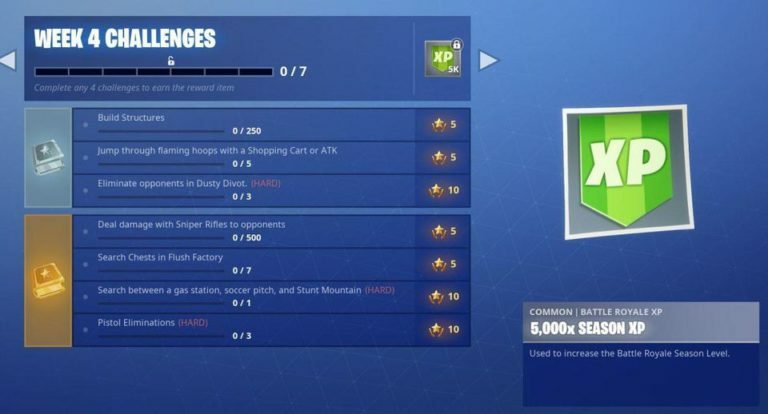 When you have completed all the week 2 challenges you can get the hidden battle star for week 2. 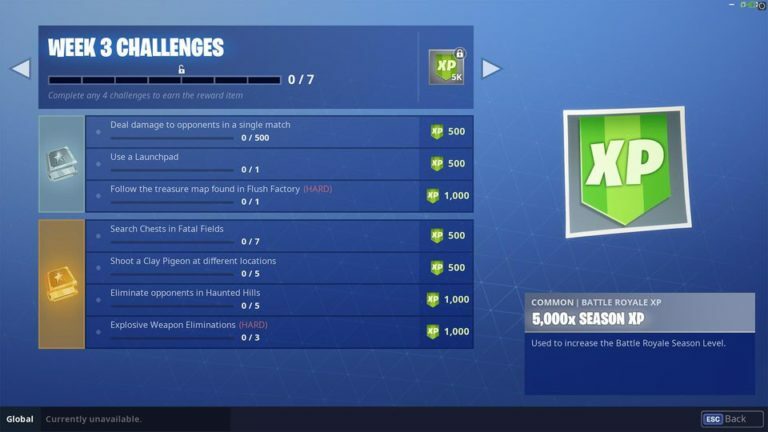 When you have completed all the challenges of week 1 you can get the week 1 hidden battle star.